connections between people and places important to civic life. Public art should be located in places that a wide range of people are likely to encounter in their everyday lives. 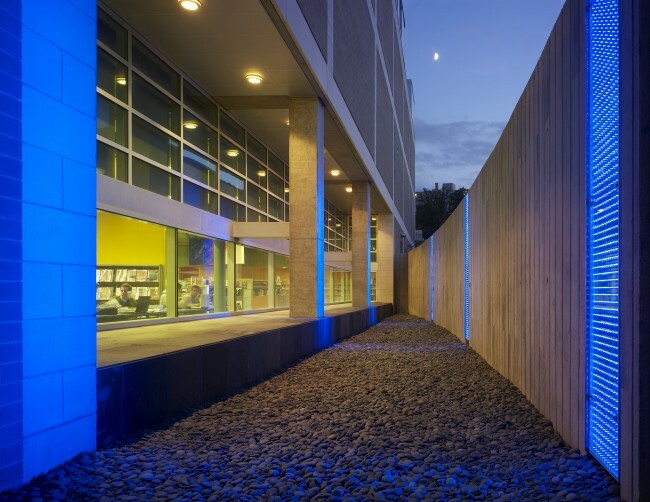 Flow by Erwin Redl at Shirlington Library. Photo by Hoachlander Davis Photography. Public art should be integrated with architecture. Dressed Up and Pinned by Vivian Beer. Public art should be integrated with landscape design. Wave Arbor by Douglas Hollis. Photo by Jesse Snyder. Public art should be integrated with infrastructure. Arlington Boulevard by Vicki Scuri. Photo by Roger Foley Photography. 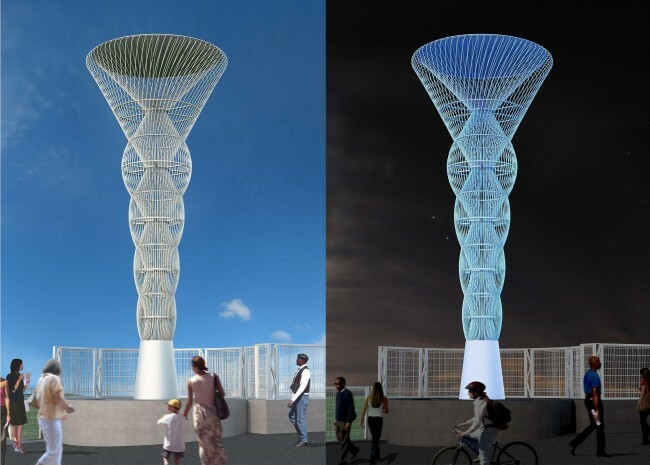 The groundwork for public art projects should be laid in County planning initiatives. 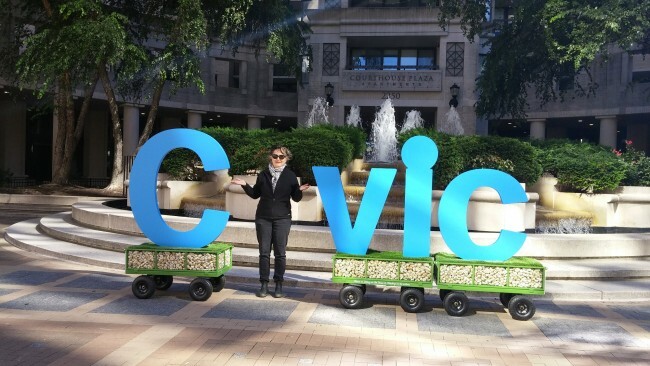 Put the "I" into C_vic by Linda Hesh as part of Courthouse 2.0: Reimagining the C_vic. Encourage developers to contribute to pooled funds to fund County-initiated public art projects. Corridor of Light concept design by Cliff Garten. Draw on Arlington’s diverse historic and cultural resources. 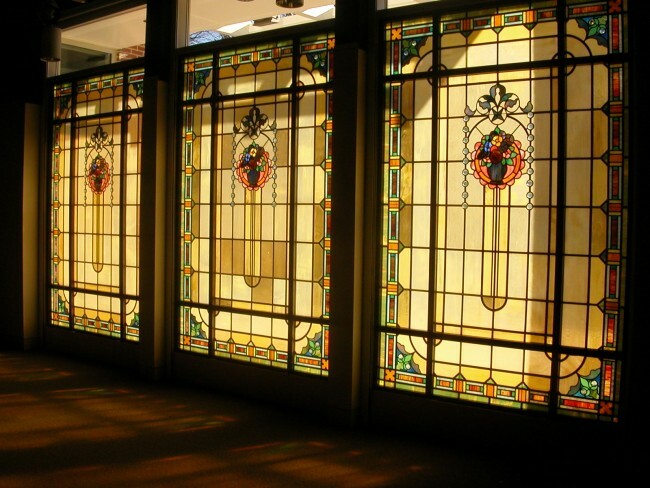 Stained Glass Windows by Louis Comfort Tiffany at Arlington Arts Center. Arlington Public Art is collaborating with the County’s Historic Preservation program to commemorate Arlington’s civil rights history. Together we are working with printer, book artist and papermaker, Amos Kennedy. Amos will be working with the community in Arlington over the next year or so to create letterpress prints. Check out the project page for more information on the project and upcoming events. 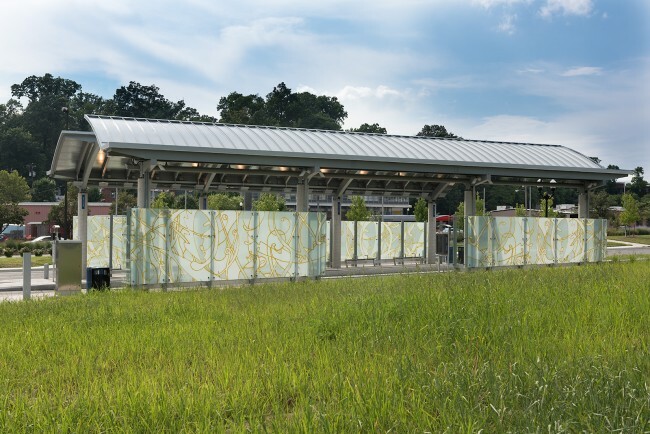 Check out Arlington’s Latest Work of Public Art! 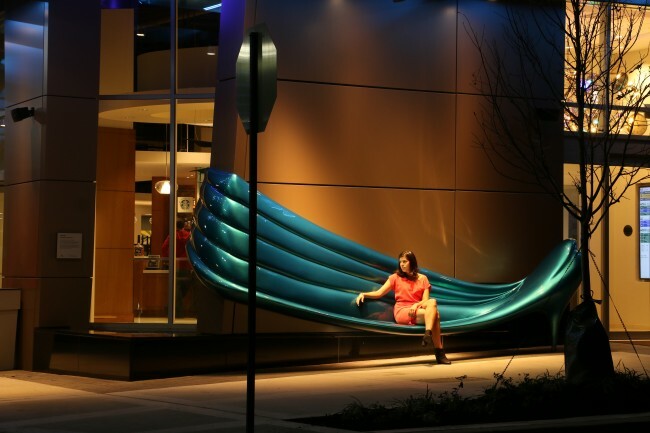 Gravity and Grace by Cliff Garten is a large-scale LED public artwork integrated into the architecture of JBG SMITH’s new Central Place Plaza (1800 N Lynn Street). Stop by to see the work in person and learn more by watching Garten’s recent artist talk. Please check out the PAMP Update Project Site for More Information! The Public Art Master Plan (PAMP) is getting an update! 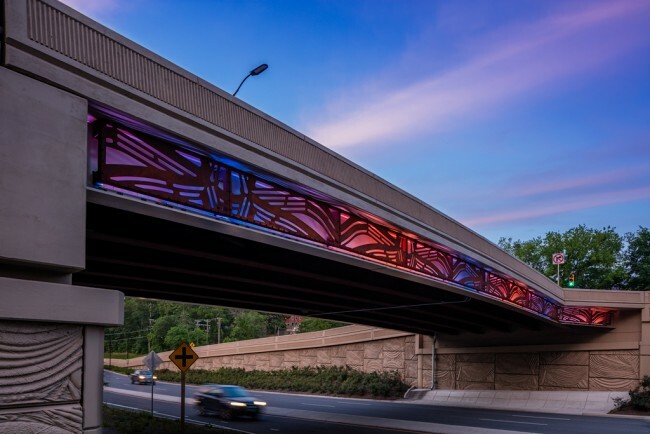 Adopted in 2004, the PAMP outlines a strategy for how public art will improve the quality of public spaces and the built environment in Arlington for civic placemaking. The update will revisit the vision, opportunities, locations, strategies, criteria, priorities, and procedures outlined in the original plan. 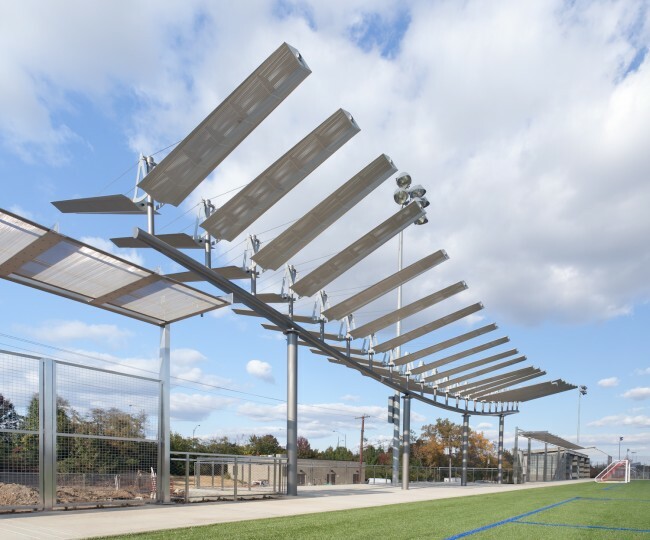 Check out the project site for the latest information and for a listing of upcoming community engagement opportunities. We recently updated the two extensive tours of our public art collection. Check them out and take a tour. Visit the Rosslyn-Ballston Corridor or explore other neighborhoods including Route 1, Shirlington, and Columbia Pike. We also now have an easy to use one pager featuring tour maps from both of our tour guides. Subscribe now to receive Public Art updates.